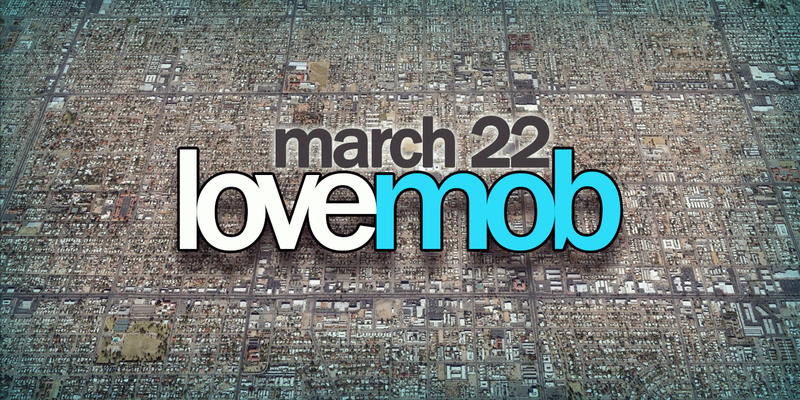 LOVEMOB is a gathering of Elements folks doing good! This Saturday our expression will be to walk the neighborhoods west of Catalina HS to hand out door-hangers and pray over our friends in those homes. The door hangers have info about Elements City Church and upcoming things. We’re not looking to knock on doors, just prayerfully canvass our new found home neighborhood and let them know we are here. If conversations ensue with people who are out and about, great! Dress to walk and bring your smile:) If you have an Elements t-shirt, you might want to wear it. Meet at Catalina HS this Saturday March 22nd @ 830am – we’ll canvass for a couple hours and be done by 11am. Stay hydrated.